Episcopal Shoppe is a ministry of St. John's Episcopal Church in Fayetteville, NC. The shop opened in 2002 and has continued to be staffed completely by volunteers since that time. Episcopal Shoppe makes an effort to stock a wide selection of Episcopal items. We offer books, gifts, calendars, greeting cards, stationery, Cursillo gifts, music and more. 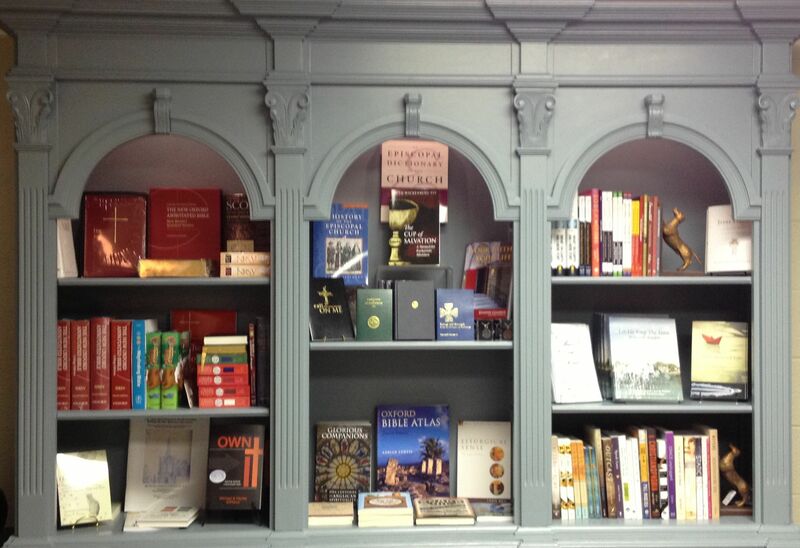 We stock gifts that are both religious and secular for adults and children. Episcopal Shoppe volunteers ship website orders every day, and we are happy to assist you with custom or large orders. To visit our brick and mortar location, visit St. John's Episcopal Church in Fayetteville, NC. The shop is open on Wednesdays from 1:00 PM - 7:00 PM and Sundays from 9:00 AM - 1:00 PM. Proceeds from the shop are granted to Episcopal related ministries. In 2015, Episcopal Shoppe granted funds to Episcopal Farmworker Ministry, Episcopal Relief and Development, Virginia Theological Seminary, St. John's Ministry for Deployed Military, Companion Diocese Playground Project in Jimani, Dominican Republic, and St. John's Outreach Committee for the Homeless. Episcopal Shoppe offers a 15% discount to churches and clergy. Please email us at sales@episcopalshoppe.com to inquire about the discount code. Episcopal Shoppe is a proud member of the Episcopal Booksellers Association, Southern Independent Booksellers Alliance, and American Booksellers Association.